The fresh tea with peach and lemon combining with the fragrance of jasmines will be freshen our day. Brew Sir Thomas Lipton Jasmine with hot water in 2-3 minutes. 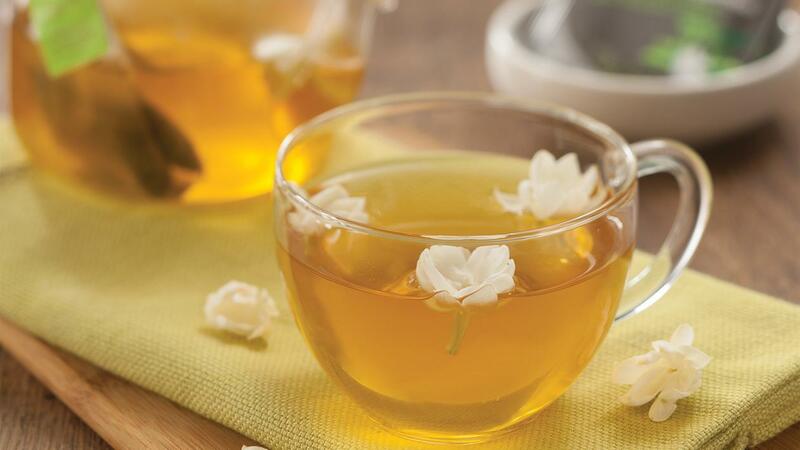 Prepare a serving glass or jar and pour all ingredients and Jasmine Tea and stir them well. Then, add some jasmines on the top carefully so that the jasmines can float in the glass' surface. Thus, the floating jasmine will make the tea more interesting and beautiful. Finally, Jasmine Flowers is ready to serve.